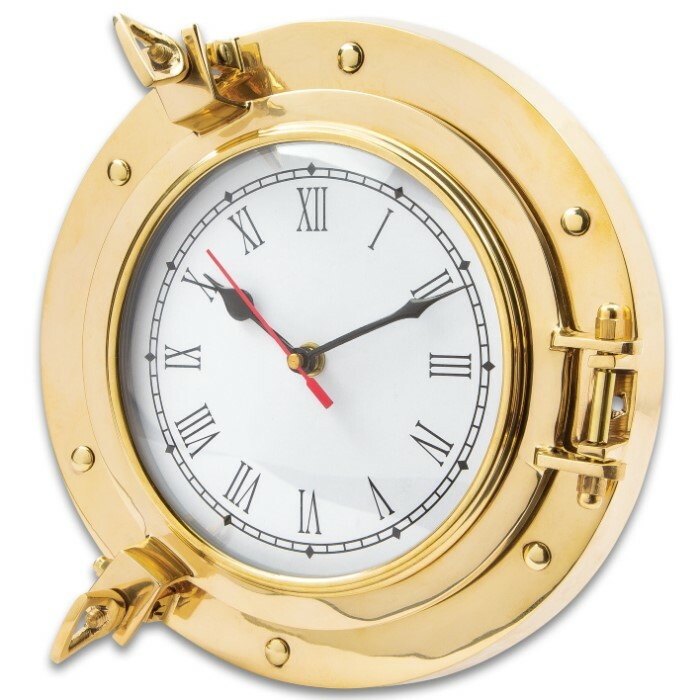 Ship Porthole Wall Clock - High-Quality Brass Construction, Roman Numerals, Working Porthole - Diameter 9” | BUDK.com - Knives & Swords At The Lowest Prices! 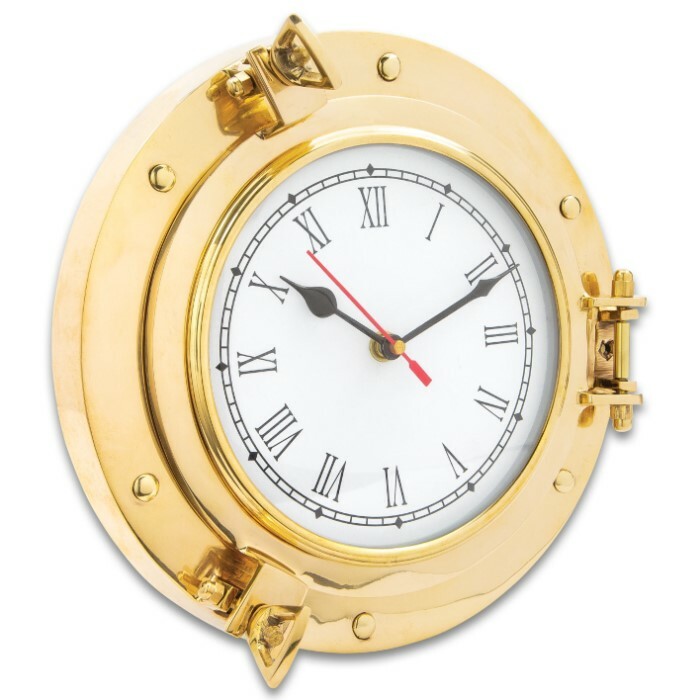 A high-quality display piece, the Brass Ship Porthole Wall Clock makes a great addition to a nautical-themed room in your home or as decor for your boat. It has a solid brass construction, which houses a quartz movement clock (battery included) that has Roman numerals and a second hand. 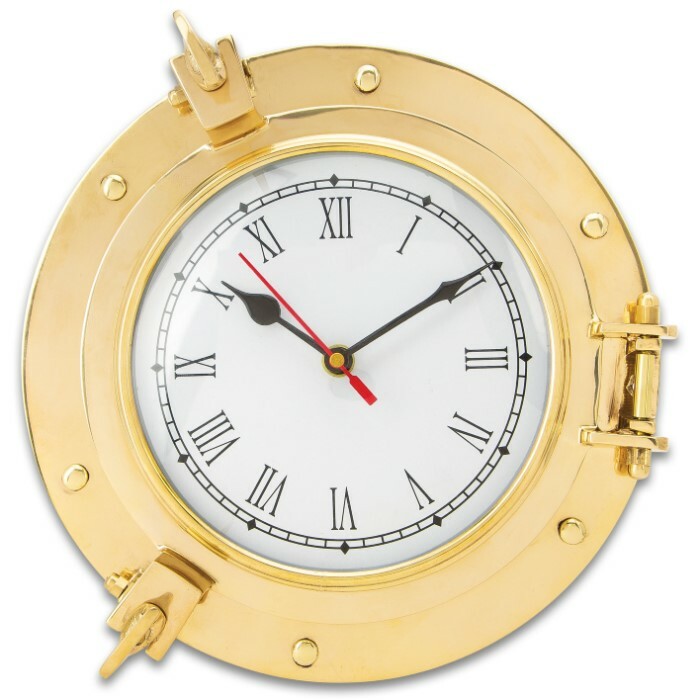 A great feature is that the porthole will actually open to the side, with just a twist of the two screws, so that the time can be easily adjusted without removing the clock from the wall. 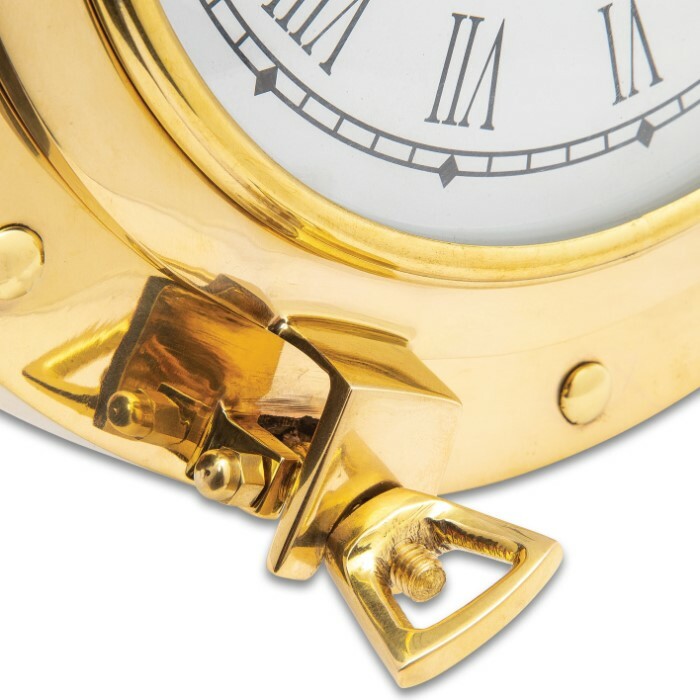 The decorative clock comes with mounting hardware so that it can be secured flush against the wall. Fine quality and original design make our home decor collection stand above all others!